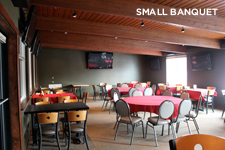 Looking for a new and modern place to hold your next event? 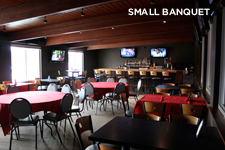 5100 has the perfect room to hold your next gathering. Whether you are planning a birthday party, business meeting, a night out with the girls or guys, rehearsal dinner or even a wedding reception...5100 is the place for you! Each room has FREE Wi-Fi and music. Check out and download our banquet menu that offers a little something for everyone. Searching for that magical place to have your special day, download our wedding info below. 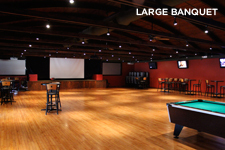 We will try to accommodate any request to make your event one to remember.